At C.P.M. Mobile Vehicle Repairs we provide a quick and efficient service, coming to you to fix your vehicle no matter what the problem. If you have engine failure we will provide our expert diagnostic services to find out what the problem is. 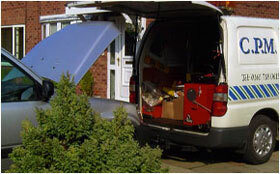 All repairs are carried out quickly and to the highest standards.